Was the novelist hopelessly enamored with battle? 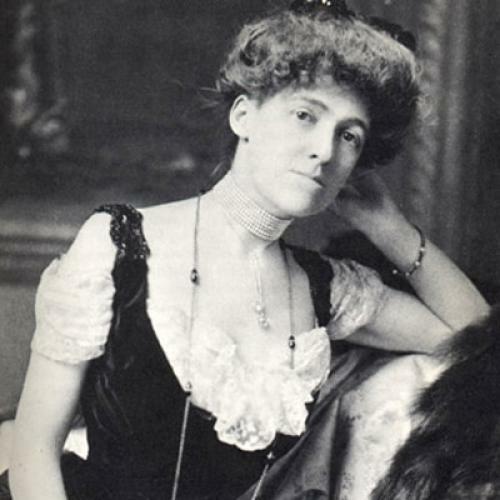 Edith Wharton is not a writer most of us probably associate with war. With the frosty, treacherous, yet bloodless drawing-room battles of Gilded Age New York, yes. With the stink and smoking gore of a trench on the Western Front, no. And yet there Wharton was in France, for the duration of World War I: working vigorously on behalf of numerous charities and relief organizations, sending dispatches from the front back to American readers, publicly and privately making the case for the United States to join the fight. In 1917, she was awarded the French Legion of Honor for her efforts. War—as both a general idea and also a feature of our own historical moment—seemed very far from this secluded estate in Lenox, with its elegant house and meticulous garden, its annual “coaching weekend” of horse-drawn carriages. The property’s airy beauty had the effect of intensifying a disjunction to which I cannot grow accustomed: the one between the physical settings of my own life—Central Park, the New York Public Library, the Hudson River, even West Point (martial in tone yet, as a place of learning, somehow rather peaceful)—and the imagined landscapes I carry within, volatile landscapes of a geographically distant war described to me by people fighting it. One day my mind’s eye might be imprinted with the inhospitable “surface of some alien planet” conjured by a pilot looking for a good place to land his helicopter in the mountains of Afghanistan. The next it might be the “mud cave” depicted by a captain who lives in it with a small group of soldiers surrounded by the stench of the fires in which they must burn their own waste. During my visit to The Mount, the scene I was trying—am still trying—to piece together had only just taken place in Kandahar City, where Chris Goeke, a lieutenant I knew well, was killed when his unit was hit with small-arms, rifle, and rocket-propelled-grenade fire. The disconnection between my external and internal worlds can occasionally prove dizzying. I wouldn’t call what I feel at such moments guilt exactly, or regret, for it isn’t that I think I should be doing something else or that I wish myself (to paraphrase Shakespeare’s Henry V) anywhere but where I am. Nor is it the case that I feel unsuited to the particular role I inhabit, as I surely would were I to find myself on a battlefield rather than in a classroom. Nevertheless, living so far behind the lines presented to my imagination requires a psychological adjustment. And I haven’t adjusted yet. Meandering through Wharton’s house into Teddy’s sun-splashed den, across the terrace, and upstairs to the “Henry James suite,” I eventually found, as if in response to my discomfort, an exhibit on “Edith Wharton and the First World War,” which begins unprepossessingly in what was the guest bathroom. There I studied a series of placards and photos telling the story of Edith Wharton’s war. As I made my way through the exhibit and later through Fighting France, Wharton’s account of her life in wartime Paris and visits to the Western Front, I grew impatient with the romantic strains in which she was capable of discussing war. Here, she describes a column of troops viewed from her car: “Close as the men were, they seemed allegorically splendid: as if, under the arch of the sunset, we had been watching the whole French army ride straight into glory.” But she knew where they were really going. Indeed, Wharton’s wartime experiences and attitudes seemed in so many ways the reverse of my own. She was physically close to the war yet somehow fundamentally aloof from its combatants: she refers to the wounded as “poor bandaged creatures” in her letter to James. I have watched the current war unfold from a great distance, but the soldiers I know form the core of my emotional life. The harder I tried to channel Wharton, the more frustrated I became, for her war writing is undeniably exuberant, rich with a sense of exhilaration that would seem to preclude unvarnished reflection on the chaos and destruction all around her. Wharton was seduced by the “fabulous and epic” movements of an army on the march and by the “concentrated energy” of modern warfare. She was susceptible to jingoism and overheated paeans to sacrifice. Yet there are moments in Fighting France when her novelist’s eye for the unexpected or oblique exposes the incompleteness of that other narrative. When Wharton takes advantage not of her eyewitness proximity to the trenches but rather of the distance and off-kilter perspective that her non-combatant status and relative safety made possible, she seems able to report authentically the terror of the war.